The day you’ve marked on your calendars is finally here! 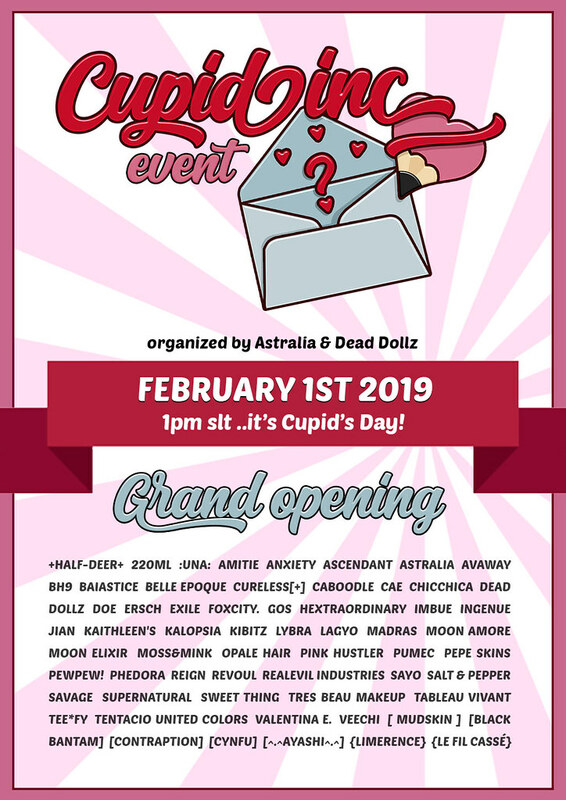 Cupid Inc opens today, February 1st at 1PM SLT. Cupic Inc. is a Valentine shopping event with an innovative gifting system. Purchases can be made for yourselves or for your loved ones, because that’s what Cupid Inc. is about: gifts! The senders will have a chance to keep their identities secret and also to include a message for the recipients.